My name is Randy Bridges. 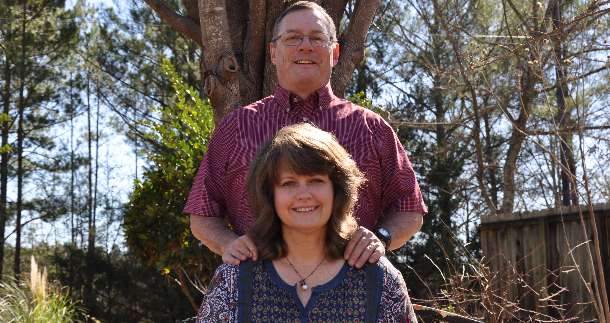 My wife, Kim, and I have served in overseas missions for eleven years. We live in the city of Tacna, Peru. We help families through our daily afterschool and feeding program, ladies prison ministry, and church plant. Mission teams and short-term missionaries from the U.S. also visit our minsitry base to serve in our city each year. For the past eleven years, we have rented property to carry out our ministry activities. Rent has significally increased over the last few years causing us to evaluate how we administer what God has entrusted to us. After much prayer and spiritual counsel; we have decided to purchase land to build or purchase a building to renovate to meet the needs of the ministry. Our vision is to begin with a multi-purpose building to serve as an outreach to the community and visitors. This property will be used to operate our Afterschool and Feeding Program, Church and Bible Study meetings with recreational space for children and youth, three small short stay apartments for newly released female inmates, and missionary and mission team housing. At times trusting the Lord is learning to ask others for help with something impossible to accomplish on your own. We believe the Lord will touch hearts to provide everything needed to build Exodus House. We ask you to prayerfully consider giving financially. ANY gift of ANY amount helps us get closer to our goal. We invite you to pray with us for this need. If you have any questions about our ministry, please contact us at info@exodushouse.org. Learn more about us at our website: http://www.exodushouse.org . Exodus House International is an IRS 501(c)3 approved ministry. All donations given are 100% tax-deductible. Exodus House International, 7432 Aberdeen Drive, Pass Christian, MS 39571. **Please include a note saying your donation is for "Building Exodus House". I was at church the Sunday y'all visited Overflow. I really enjoyed hearing about your ministry in Peru. I know this is a small amount but I hope it will help and maybe in the future it will be more. Will be praying for y'all and exodus house ministry. Excited to hear about what Gods doing in Peru. Our garage is getting steadily smaller. We have 22 kids now and 6 adults in a small space for our AfterSchool ministry. There is a place close to us for rent which is perfect in terms of size. We talked with the owner and the price was over our budget especially considering the condition of the property would need an investment to get it presentable to use and the owner does not want to rent for anything dealing with children. So, we continue to squeeze everyone in praying for the Lord to open doors. We are settled again Peru! Our AfterSchool started on Monday of this week. The one word I would use to describe it is crowded! Our prayer today was for changed lives, laborers, and property! Please pray or spread the word so we can proceed to buy the place the Lord has for Exodus House!